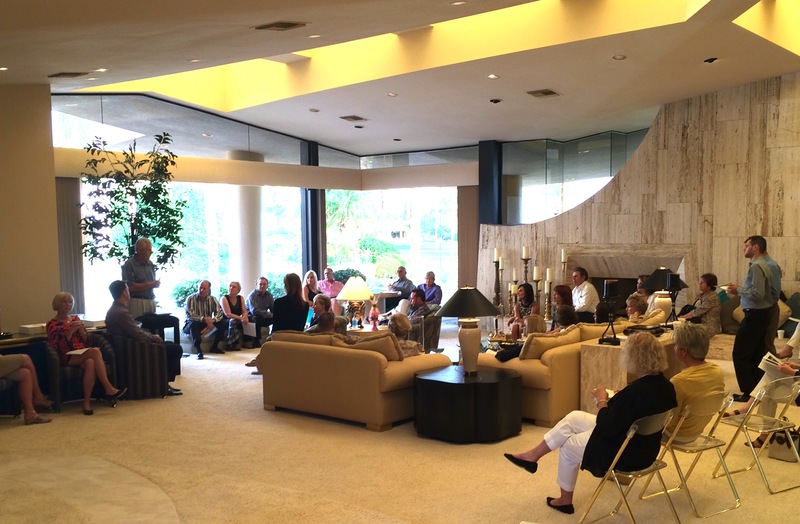 At a recent meeting of Windermere’s top-producing agents & fellow Premier Directors at the Indian Wells Country Club, we discussed the current real estate market in the Coachella Valley. I wanted to share some of the information and insights from that meeting with you as it is important for both Buyers & Sellers to understand what is affecting our real estate market right now. – Our Canadian buyers whom had been approximately 40% of our market are staying away from buying due to the current value of their currency. The majority of our Buyers continue to be out-of-state homeowners looking for 2nd and vacation homes. – Overall, we are seeing more people downsizing in their home’s size whether they are part-time or year-long residents. – We are seeing a decline in the popularity of golf which may adversely affect our gated communities though many properties have been expanding their community perks such as a stronger emphasis on tennis, clubhouse and spa services as well as more trending past times like pickle ball courts and bocci ball. – The wave of Baby Boomers that we had expected to hit our market has not materialized so far. Not necessarily a sign of decline in the area, this could be due to circumstances such as a continued presence in the work force, remaining past the previously anticipated retirement age. – Both the General Trends and Buyers’ Trends suggest it is indeed a Buyer’s Market right now. Acknowledging and working with these insights in mind will help me work together to most effectively market my listings to potential buyers. – New construction is double what it was a year ago so many prospective buyers are going to new rather than re-sales. Energy efficient options such as solar energy panels, electric car plug-ins and more energy efficient construction & materials seem to support or augment this trend. Water conservation awareness has of course spread to many communities with municipalities and other government agencies offering rebates for drought-resistant and lower water usage landscaping. – Listings that need staging or updating are remaining inactive on the market. The current Buyer wants to see the home closer to move-in ready even if they will be bringing in their own furnishings on purchase. The desire to create their own home or take on major renovation projects in order to update a home prior to move-in seems to be on the decline. – Homes need to be priced right! Buyers want the best for the most competitive price. Your home needs to be priced so that it will appraise based on recent sales not historical sales. Although the monies you have put into your home matter in maintaining an updated home, the listing price cannot be based on this figure but needs to reflect the current market value. A lack of showing activity indicates the list price needs to be addressed. A Buyer’s first offer seems to be close to what their final offer will be. If there’s a huge difference in counter offers, we are seeing Buyers walk away from a home of interest after only a round or two of price negotiations to consider other properties that are more negotiable. – The flux of the overall market economy and the bounce of oil prices seems to be making Buyers more hesitant and has contributed to the dramatic drop-off in showings early in our season. – On a positive note, our selling season continues to expand past the normal “season” of the Valley with buyers continuing to show a strong presence into June and the summer months. Is current drought conditions affecting home buying and interest? John – Drought conditions are a concern throughout California right now but the interest in home buying in the Coachella Valley is still strong. We just posted an article about steps the local water agency are taking to reduce usage and how it impacts homeowners.